On a small hill in Garfield, Healcrest Urban Farm is bursting with the colorful flowers of herbs in the height of summer! 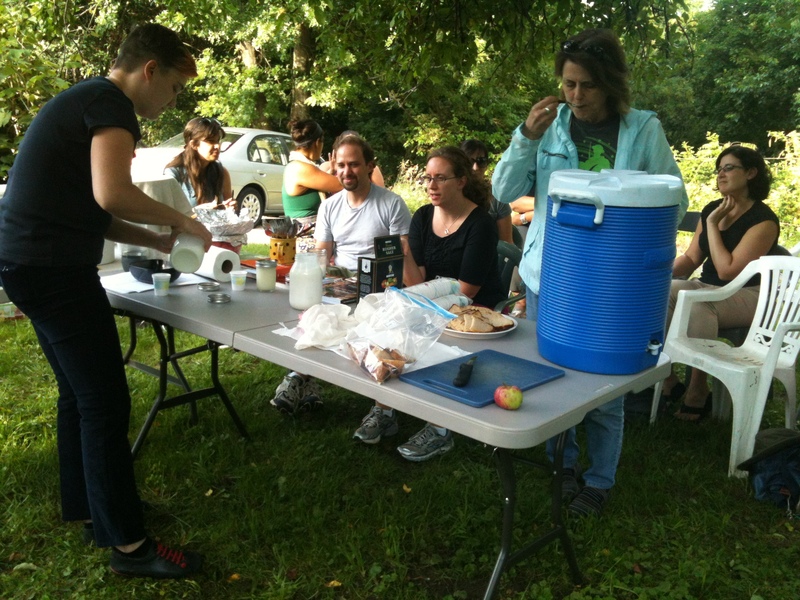 Our working, urban, organically run farm hosts a variety of events. Contact Michelle for booking at 615 804 0064. 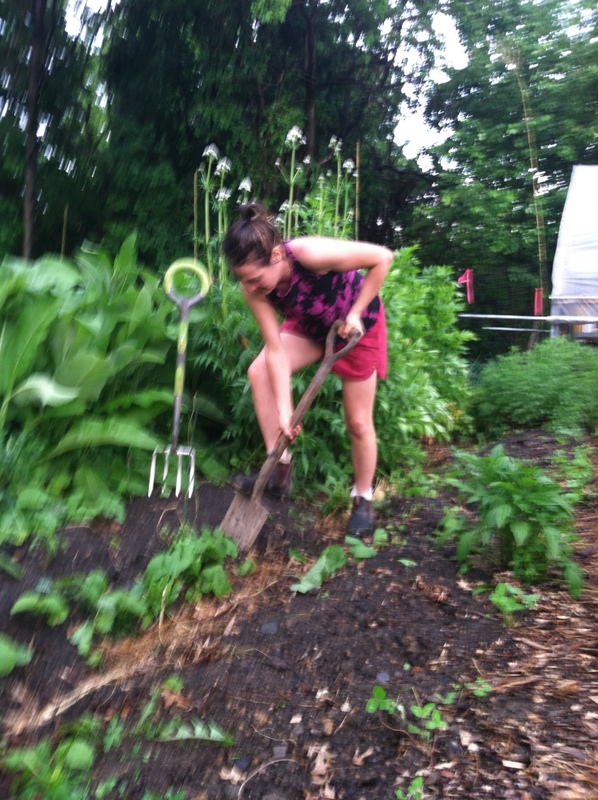 Every Sunday from 11­4 join us for a volunteer day! 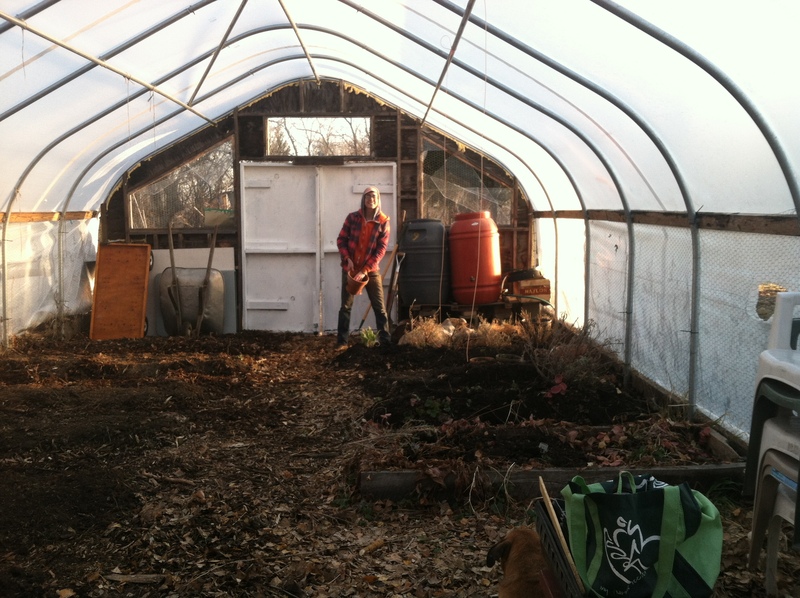 We’ll be busy harvesting flowers, weeding, and working in our berry patch this month. Farm Tour at starts at 4pm, free for Garfield residents. During this show, tell, an taste you will learn the foundations of making sauerkraut and kimchi. There is no one way of doing it. Come and explore the exciting possibilities that variations offer for our breakfast, lunch, and dinner plate. This show, tell, and taste session will introduce you to the making of lightly fermented natural sodas with water kefir grains, fermented syrups to be mixed with sparkling water, and a variety of alcoholic meads. Trouble getting to sleep? Staying asleep? Bothered by sleep apnea? Or is it impossible to wake up? Learn about different herbal approaches for addressing difficulties falling asleep all and trouble waking up. Walk through the gardens to identify common sleep aid plants and discuss how to grow and process them. simple but delicious farmer’s cheese. Yum! 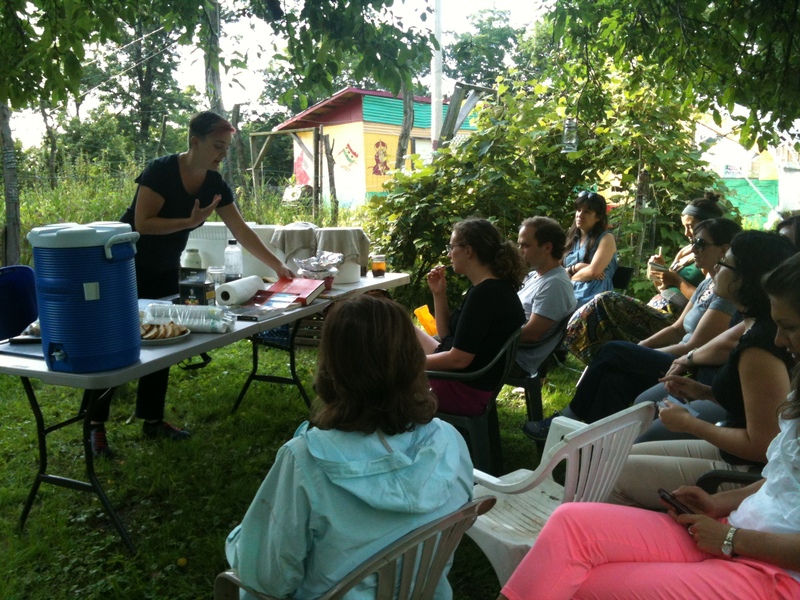 Join us at Healcrest Urban Farm for Fermentation Workshops with Natalya. Natalya has been creating, studying, and experimenting with fermented foods for many seasons. This Summer SHE’S BACK to offer more exciting fermentation workshops! A Rainy Day Photo Shoot! 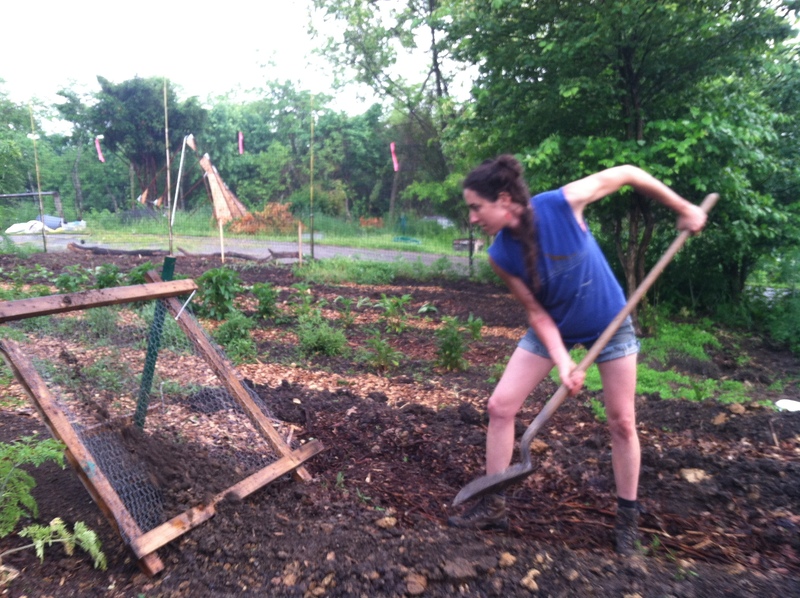 Meg and I thought we could use this rainy day to our advantage and show some photos of our muscle powered tools that we use to create the gardens. As we were planning and budgeting to create new gardens and revitalize more green spaces at Healcrest, we made a decision to not rent heavy gas powered machinery and to invest in quality earth moving tools that we can use for years to come. 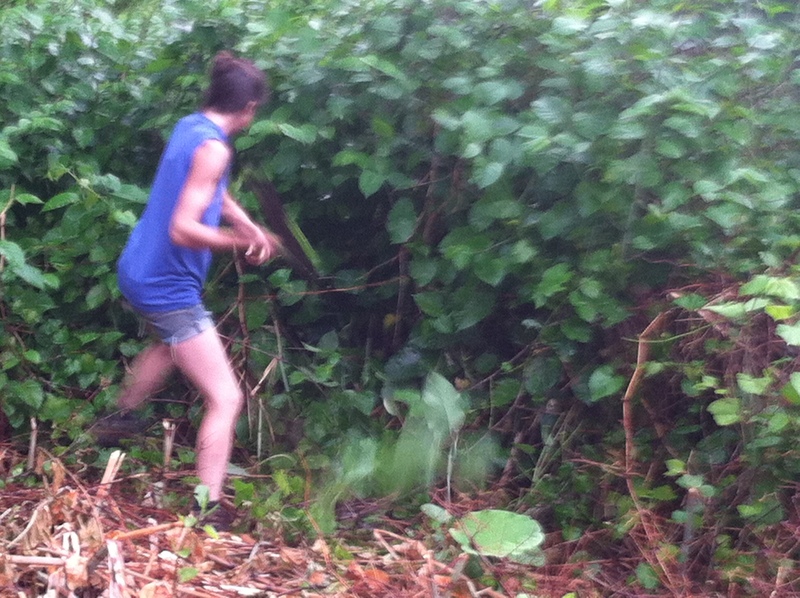 We still use lawn mowers for grass cutting, but pretty much everything else up at the farm is a hand tool. This definitely increases the time and energy it takes to build a garden bed, but the finished products are high quality beds that will be around for years to come, completely free of knotweed roots, rocks, and anything else that might impede the growing process. We’ve found that the beds that we built last year have needed a few wheelbarrows of compost of them and some leaf mulch in the aisles, but are free of invasive weeds. The hard pan clay that is just right under our top soil was turned with compost last year and has matured into a dark rich layer of soil, perfect for growing. Planting into these beds will continue for a few more weeks! Official volunteer days are on Sundays from 11-4. 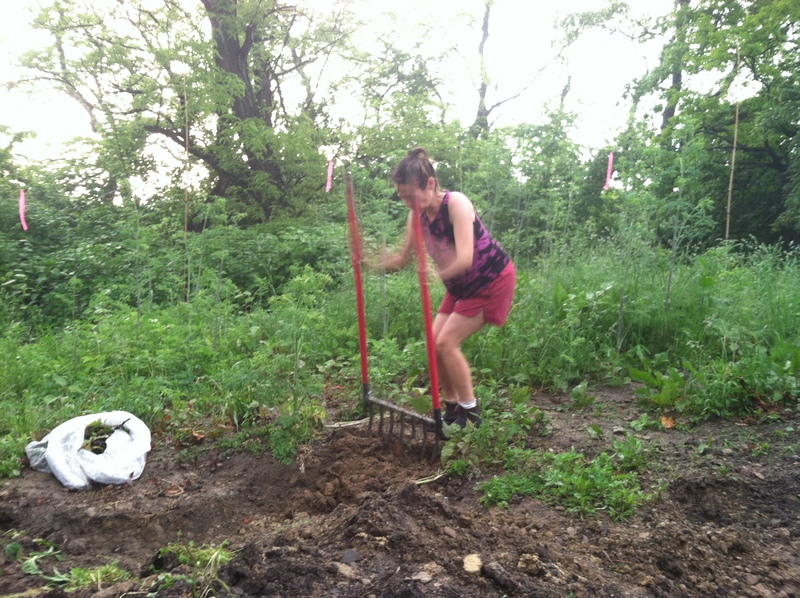 We won’t make you jump on a broad fork for you can help some baby seedlings find a good home! Michelle jumps on the broad fork, using all her body weight! 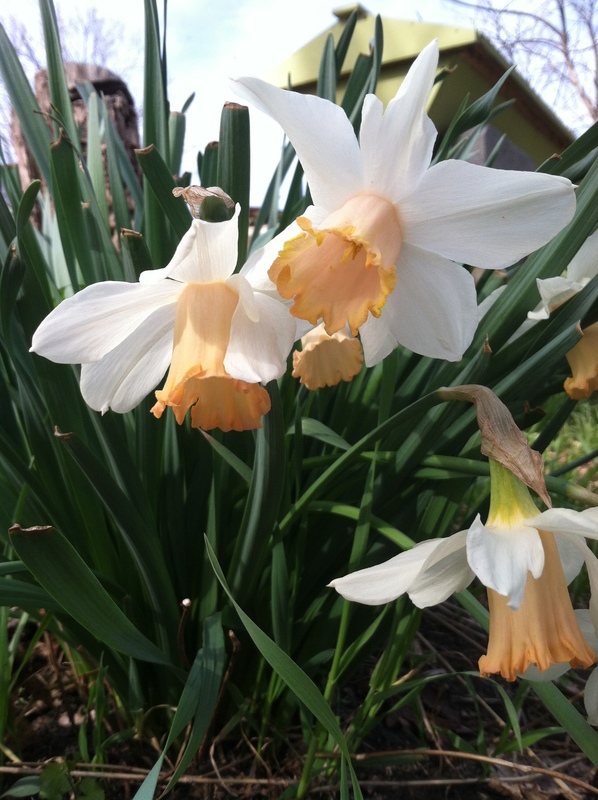 Spring Has Sprung at Healcrest Urban Farm! Whew! Spring has sprung and we are seeing the evidence of that all over the farm! The daffodils are in full bloom, the forsythia has one whole garden in a wash of yellow, the hawthorns are budding out the cutest little leaves, and our perennials are coming back from the intense winter hibernation we were all in. 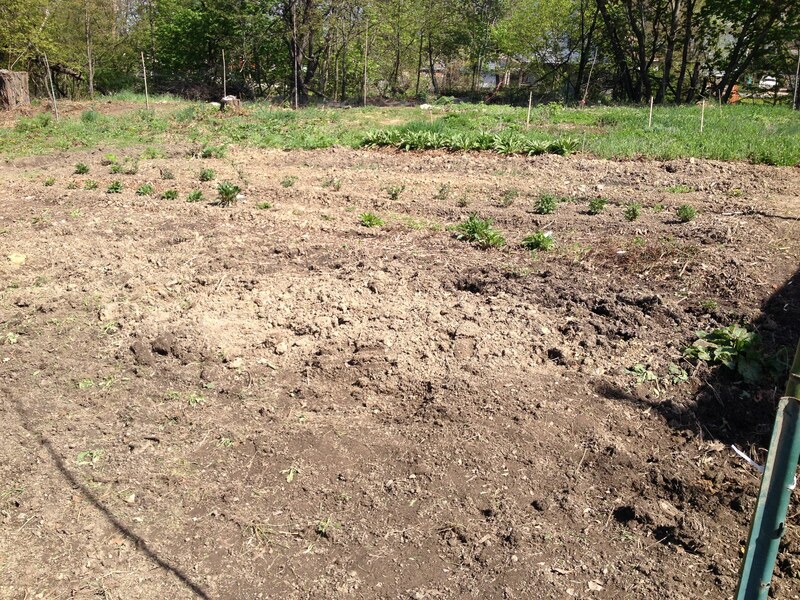 Meg and Michelle have been busy tilling the ground in several gardens to get beds ready for the hundreds of plants we have started inside. Many herblings are more delicate than vegetable starts so we’ll wait till after the last frost to plant outside. We are orienting garden beds differently this year in one garden and are breaking ground the what we used to call “the knotweed field”. Although it does have medicinal qualities: the knotweed root contains high amounts of resveratrol- the feel good chemical in red wine, we are striving to eradicate our pristine piece of land from this invasive creature. Slowly, but surely. Suzy has built a rain barrel system to catch rainwater off the roof of our shed so that we can water everything grown on the farm with water collected from the farm. As usual, the chickens have the run of a garden during the day to dust bathe and sun themselves. We will post soon about upcoming classes and volunteer days! Here’s to spring! We welcome you to join us in the Healcrest orchard for this series of Yoga 1 practicum classes. Join us at 7pm Tuesdays and Wednesdays in September. This moderately-paced class will include sun salutations and a wide range of standing and seated postures designed to increase strength, balance and flexibility. For new students with good physical health. Bring water to drink and mat and/or blanket is recommended. This summer has been very busy with over 40 events and over 45 different flavors of TeaPops! We have loved our diverse list of markets and farm events this season and it makes us excited for next year. With Autumn fast approaching we are in harvest mode at the farm, as well as shifting from our cold sweet treat to our delicious herbal tea blends for market. You can find both at PGH area markets and come visit our booth at the Mother Earth News Fair Sept 20th-22nd. Visit us this weekend at the Garfield Night Market Friday, Saturday join us at the farm for a Late Summer Soiree, then Sunday visit us at Union Station for Station to Station. Kick off your weekend with social dancing and soulful delights. We welcome you to come dance, relax, eat, greet, and enjoy. 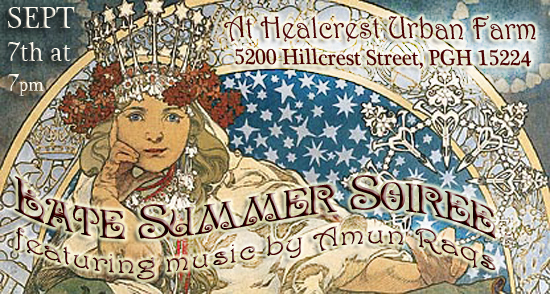 Come to Healcrest for an experience of your senses! Delight in the aromas of the herb gardens, the soundscape of the urban wilderness, taste the terroir, and sway with the flora. Join Michelle Soto for Adaptodisiac Truffles! Adaptogens- help your body respond to stress! Aphrodisiacs- increase sexual desire! Together we will formulate the truffle your body needs most! Truffles are all VEGAN, SUGAR FREE, and absolutely delicious. Everyone will have opportunities to sample and take home these yummy treats. Follow your senses from taste buds to belly with some community style bellydance. Join Dana Launius for a basic lesson, delight in your body and enjoy some open dancing. You’re invited to an evening of earthly enjoyment. Healcrest On The Farm Fest! We invite you to take an urban trek to our little natural oasis in the East End. If you haven’t seen the farm yet or enjoyed a Tea-Pop this is the perfect opportunity to come visit us. Come see what’s blooming and growing at Healcrest. Enjoy the scenery, aromas, and soundscape. Walk, Lounge, Mingle, Play, Learn, Enjoy! 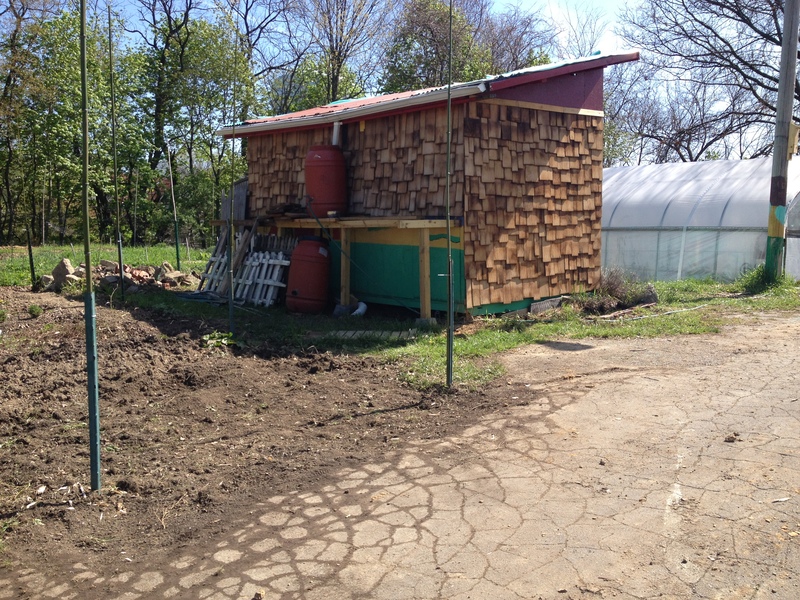 HEALCREST URBAN FARM – Garfield, PGH, 5200 Hillcrest St.